Our self-sufficient energy project has its raison d’être in our efforts to stimulate energy-saving and the reuse of resources to promote Sustainable and Responsible Tourism, as well as contributing to preserving the health of the planet. Our sustainable project results in savings and health for ourselves and for our environment. Sustainable rural tourism is the only viable form of tourism in the long term, both in ecological and economic terms. 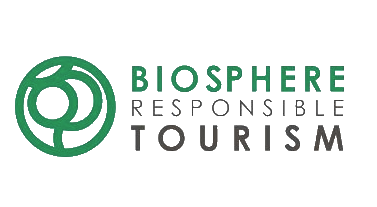 Our aim is to stimulate responsible tourism to protect the local natural resources and biodiversity. Our challenge is to stimulate Sustainable, Quality Tourism. At Masia Spa Can Pascol the installation of a set of solar panels generates hot running water and heats the heated pool of the Spa in the spring and summer. In the cooler months, the water is heated with biomass, and biomass is also responsible for heating all the radiators in the house. 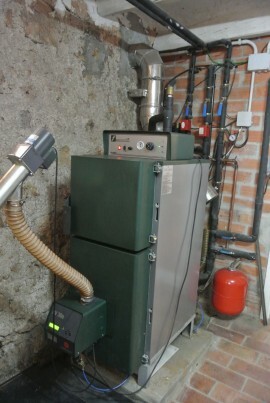 The biomass boiler maintains the temperature of the house by burning wood pellets, and during the cooler months the temperature is maintained at a maximum of 22 degrees on both floors, in order to save energy. 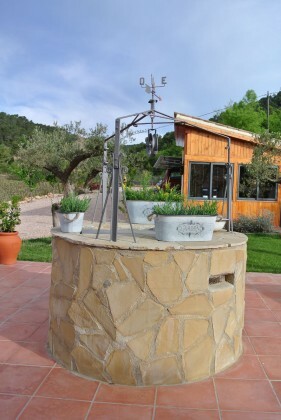 Rainwater is reused; it is collected from the drains on the roof and is redirected into the well, where it is used to irrigate the whole of the garden and the olive grove zone with a drip system, as well as to top up the outdoor pool when necessary. Both the water from the well, which is drinkable, and the running water is decalcified so that it arrives with less chlorine and heavy elements. 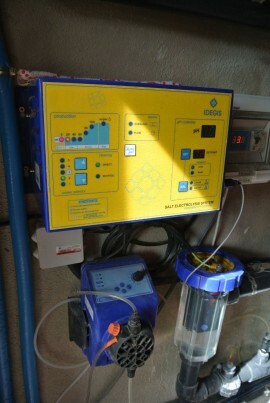 The water collected from the dehumidifier in the Spa room is filtered and reused in the heated pool. The indoor plants on the rockery of the Spa form a little micro-climate that also helps to recuperate the humidity of the environment and ensure the optimum quality of the indoor air, due to the purifying effect of the vegetation. The two pools, both the heated pool in the Spa and the outdoor summer pool, work through electrolysis and salt water, which means that the quantity of chlorine necessary for the maintenance of the water is kept to a minimum. Chlorine is a chemical product that is very harmful to nature. In the restoration of the house we have respected the original elements of the building, such as the thick stone walls, excellent insulators from heat and cold, and the house is completely insulated to maintain the ideal temperature both in winter and summer, and also to save energy. Likewise, new elements have been incorporated into the building in order to take sustainability and energy saving into account: all the windows in the house (and the covered barbecue area) are double-glazed with an air chamber and ecological aluminium carpentry, while the interlocking timber floors provide warmth to the whole of the house. Light bulbs are low consumption LEDs; there are automatic shut-off installations in the external lighting and the switches in the Spa; in the Spa and the bathroom water recirculation switches have been introduced to save water that would otherwise be wasted while waiting for the water to emerge at the right temperature; all electronic appliances are low consumption Class A Eco and flow reducers have been installed in all of the taps in the house, along with all the WC cisterns. There are ceiling fans in the living room and in the bedrooms to make the air flow in the summer. We do not have air conditioning: each kilowatt hour of energy consumed means the emission of more than 400 g CO2 into the atmosphere. A difference in temperature with external outside 12 degrees is not healthy. The materials used in the house, wood and stone, as well as the quality furnishings, were chosen in order to have a long life, as the longer both the materials and the objects themselves last, the better for the environment. In the house, we encourage the use of cotton tablecloths and napkins as well as the use of glass and not plastic. 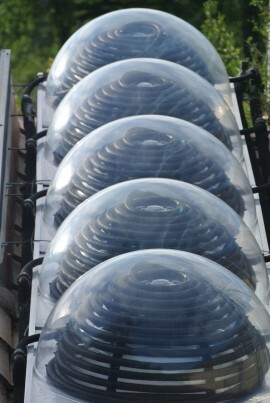 For the maximum exploitation of natural light, a skylight was installed on the top floor with sun tubes that transmit the maximum amount of sunlight throughout the day. In addition, the window in the bathroom on the first floor or the large south-facing arched window in the kitchen all help to create natural light. The large skylight in the ceiling of the Spa is also a resource to make the most of the sunshine, which makes this room a cheerful and highly luminous space. In the light-filled and well ventilated bedrooms we use fine cotton bedclothes, and the curtains are translucent so that guests awaken with the first rays of the sun, highly beneficial for our health. Wi-Fi, which is free, is disconnected at night for optimum rest conditions (unless our clients request the contrary). The house has and anti-smoke system (it is forbidden to smoke inside the house), we recycle rubbish, and ecological and non-toxic products are used for house cleaning and for garden care; we also make compost from all the organic vegetable waste from the garden to obtain fertilizer for the plants. All the plants and trees in our garden are native varieties and dryland cultivations. At Masia Spa Can Pascol we offer a catering service for the times when our clients do not wish to cook. 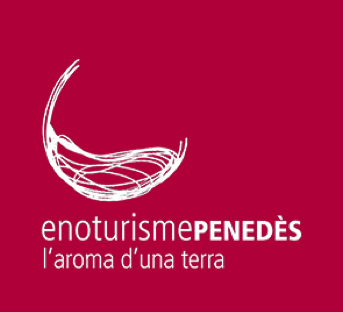 All of our products are organic and/or kilometre 0, we use local and regional products, and wines and cavas (sparkling wines) from the D.O Penedès, so creating synergies with local traders. Meals are cooked at Masia Can Pascol and served at the table of the country house at the desired time. 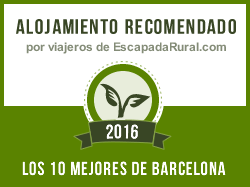 In 2015 MASIA SPA CAN PASCOL was awarded with the “Copper Diploma” for SUSTAINABLE COUNTRY HOUSES by Ruralcat, for the implantation of the ECOLABELS, the ecological label of the European Union in recognition of the efforts to contribute to the preservation of our planet. The Diploma was presented by Tomàs Molina, who also received a prize for his programme “Terra”, on TV3. We expect to have the Ecolabels plaques in place during 2018. At Masia Spa Can Pascol we are very satisfied with all the work we have carried out so far, but our sustainable project is not finished, as we still use a part of the energy from the electrical grid that little by little we will be substituting for renewables. Our challenge is full disconnection from the electrical grid, and to be able to share our sustainable message with many more travellers. At the beginning of the year 2019 we have received the Biosphera stamp in which we have been working in 2018. While the stamps help us to certify our ecological endeavor and to reach our clients more quickly, they also keep us constantly in the process of improving so that our Sustainable project: “Love the Planet” will be kept up to date with good judgment.